La Palapa Grill & Cantina is located on Main Street in Historic Ellicott City, MD. 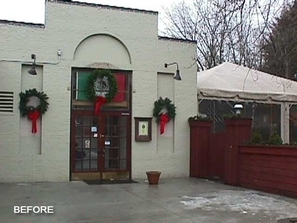 The 3-phase project consisted of the renovation of an existing restaurant and bar, including the expansion of an exterior deck. The second phase included the expansion of the existing bar to include a bar, stage and dance floor, and the third phase included an indoor/outdoor covered addition that opens up to an exterior deck during warm weather. J-Squared Architects was responsible for the design, construction documents, and construction administration of the project. Submittals and a presentation to the historic district were required as part of the process.